Hi guys, can you believe it's already Friday?! I had such a good week. I had my first client that made use of the promotion I'm having and it was an awesome experience to help someone in need like that. This is one way to get to know the people of my own little island and what they want and need. So I'm already excited for the next one next week. So, today I wanted to share with you another Project 101. This one is part of an interior design project I'm doing for a home. 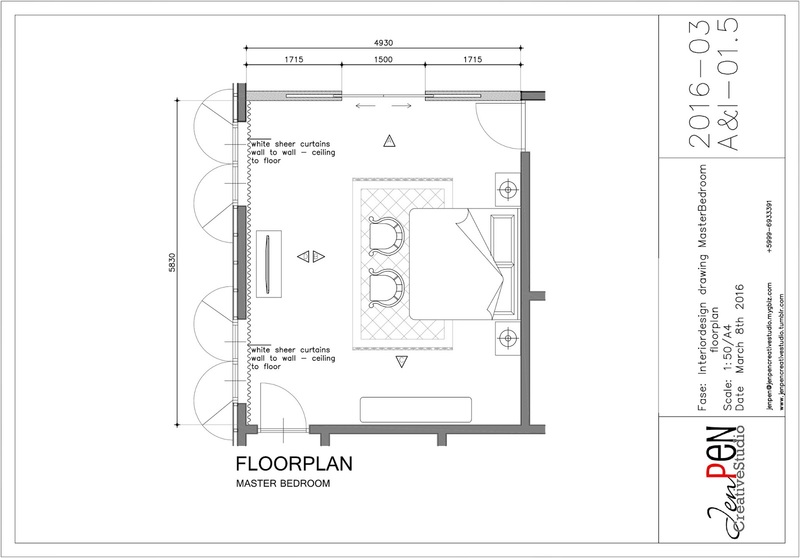 This house is pretty big, so they are lots of rooms to design. 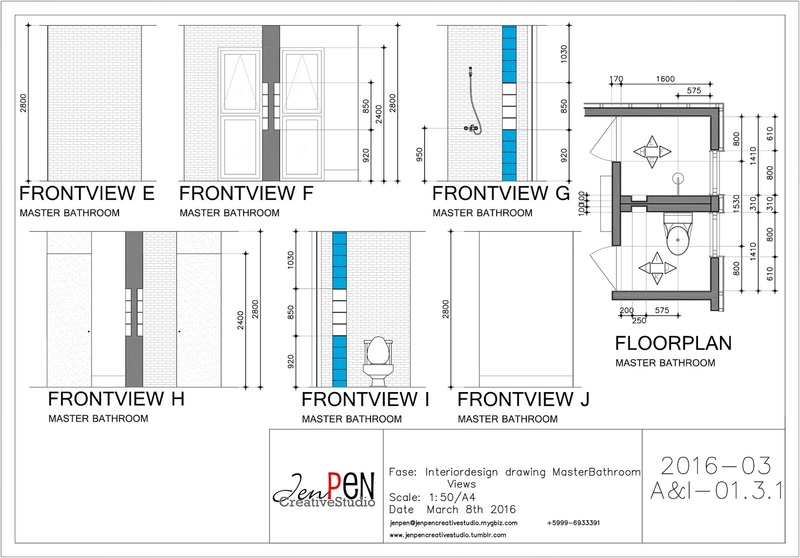 Today I'm going to show you the design of the master suite. 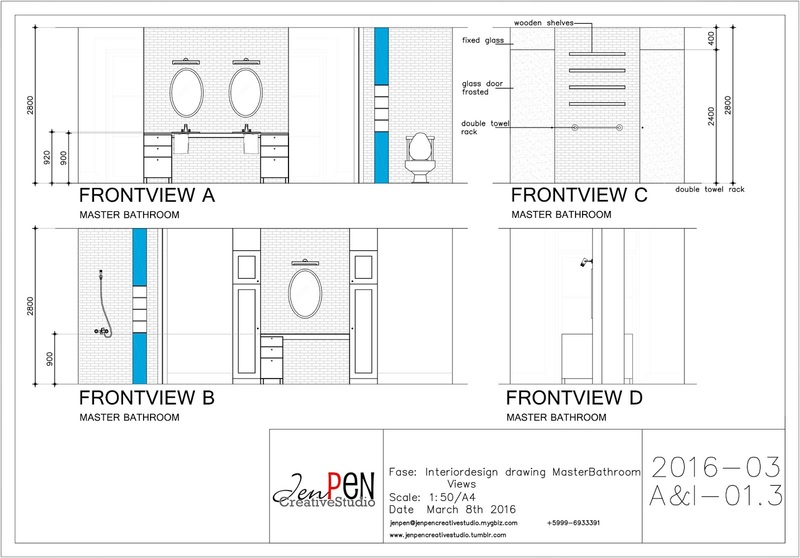 The master suite includes the bedroom, bathroom and walk in closet. The designer of the house is someone I've worked with in the past, so it's an easy collaboration between us. 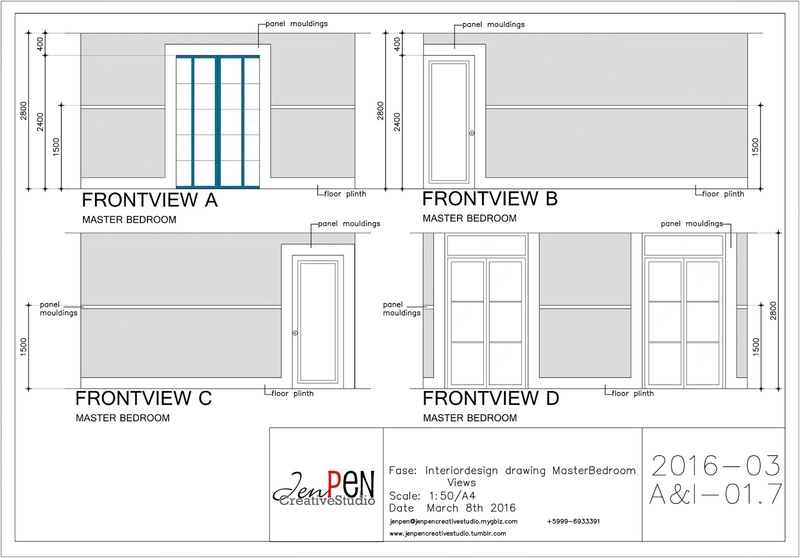 He provided me with the room layouts and I was pretty much free to design whatever I would like. 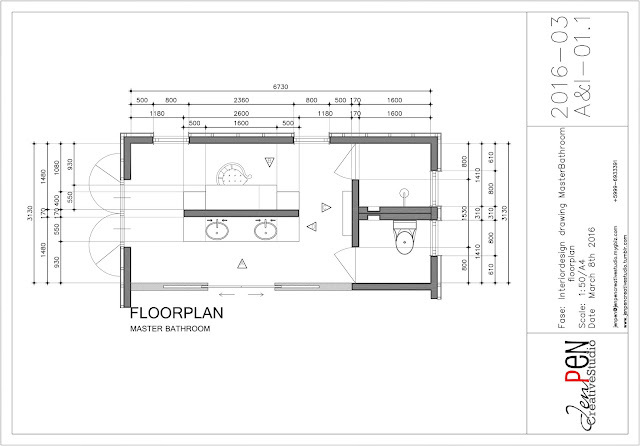 This is going to be a very large space for the clients (aka parents) to come a relax and have time for themselves. 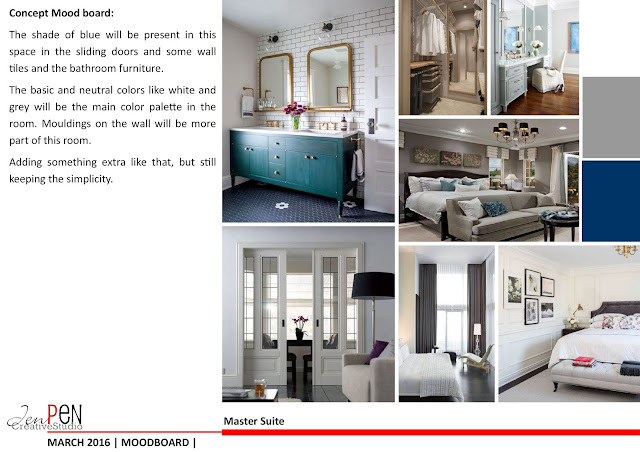 I did a mood board presentation on all the rooms first, to get the feel what the clients really wanted for their home. 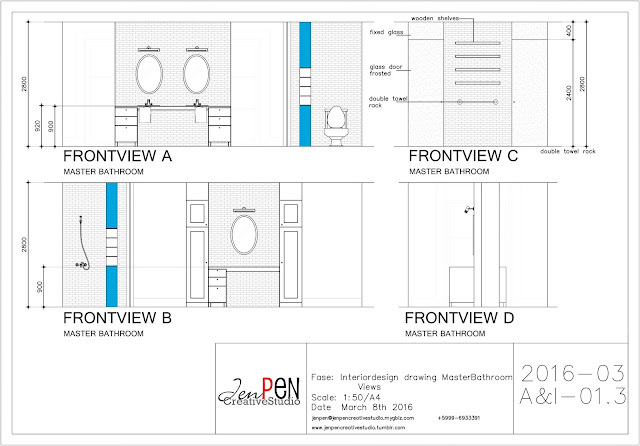 After that the design came to place for the master suite. Here's the final mood board presented to the clients a few weeks ago. One of the color that is going to be the red line through the master suite is the color blue. The exact shade blue is not yet determined, but it's going to be a shade of dark navy blue. In combination with white and grey. The clients have love for American design houses, like wall coverings. 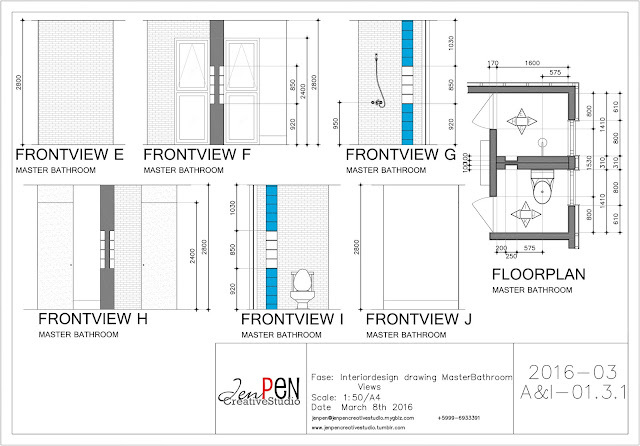 I started first with design of the bathroom, as I presented a full new design at first for the clients. I wanted a place for the wife only. A place to put on make up and things like that. I wanted that all to be separate from the washbasins. 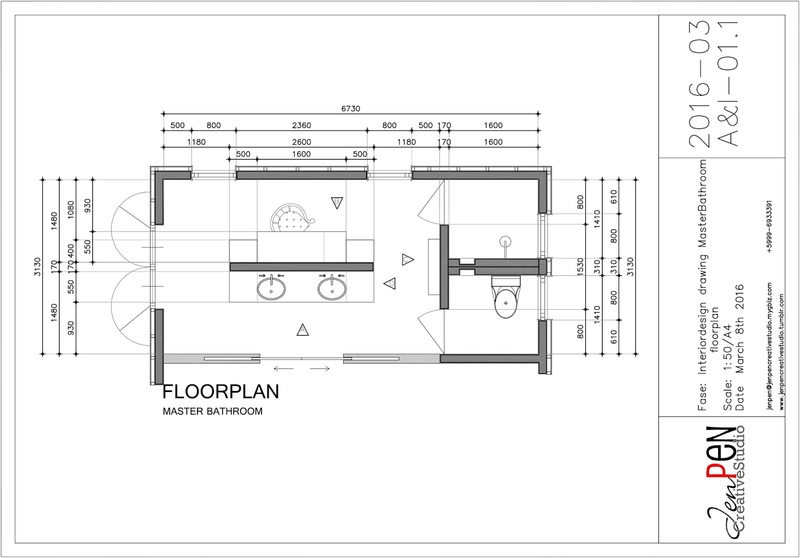 A separate space for the toilet and shower. Both these are provided with glass doors, but with a frosted layer on it. The clients wanted privacy for themselves. 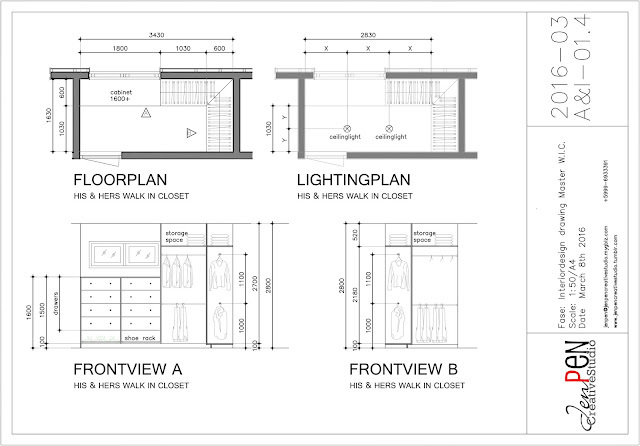 The master suite would not be a master suite, if didn't have a walk in closet. Even though the clients don't want a big walk in closet, so it made things a bit easier. Hopefully at the end all their clothes will fit in this space. But there is still an option to make it bigger eventually. For the bedroom, I wanted something simple, as they are simple people. They don't like a lot of fuss around the house. So, they wanted wall coverings, but instead of a very busy covering, I went for a simple line through out the room. It was a lot of work but a great one. 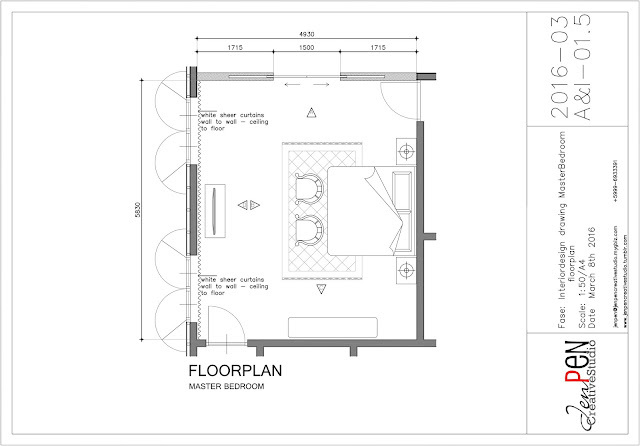 This was my first home design project after I went solo, so it's excited to see how it's all going to pan out. This project is still in it's preliminary phase, so it's going to be a while before I can show you the end result. Want to check my other projects, see here at PROJECT 101. So...another week another weekend. What plans do you have for the weekend? I wish you a fun and excited one. Have a good one and till next week. Tada!! I love the concept of a Mood Board! It really highlights the themes that you want to run throughout your decor. This looks pretty complicated, but you've broken it down into manageable pieces even for a newbie to decor and design! I love the mood board you created. The cupboard in the bathroom is so pretty.